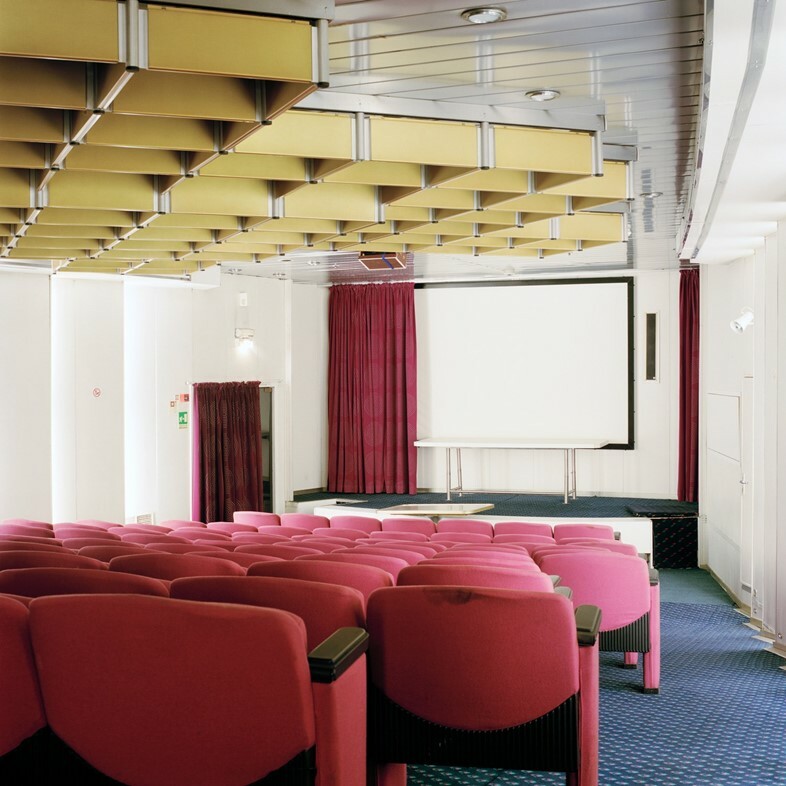 20th-century philosopher Michel Foucault’s theory of heterotopia – the idea that spaces exist with various layers of functions and meanings – is one of his most famous. 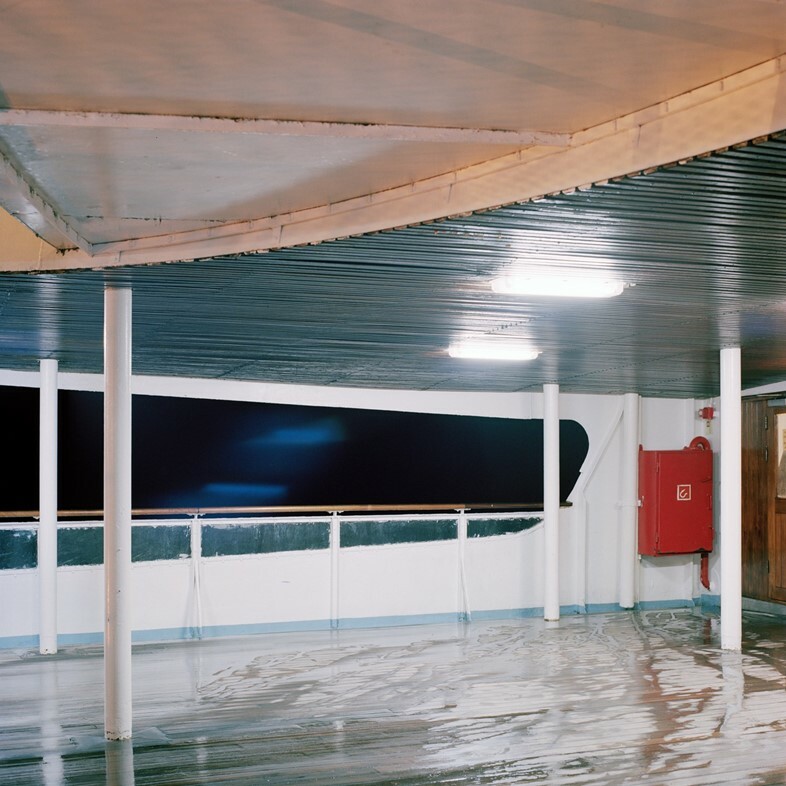 According to the French theorist, the ship is the “heterotopia par excellence”, “a floating piece of space, a place without a place”. 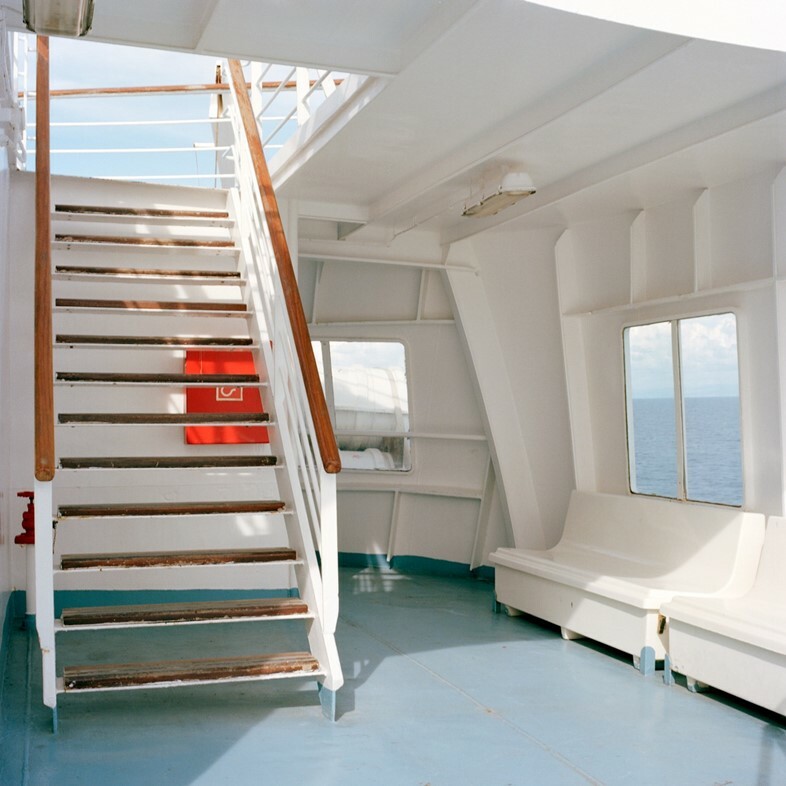 This concept spoke to Italian photographer Allegra Martin, who has been taking pictures on ferry boats since 2009, and the resulting project, A Bordo, is being exhibited at Milanese location agency Anticàmera, with whom the photographer co-curated the exhibition, until September. 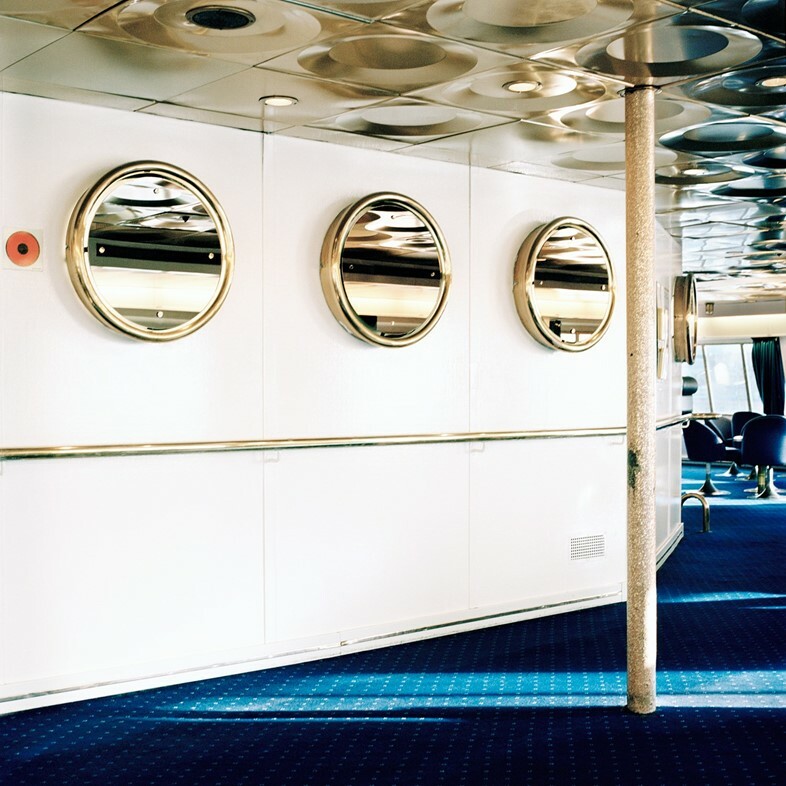 “My interest initially focused on passengers killing time during travel, portraits of the crew at work or in moments of relaxation, and then exclusively on the ferry’s interiors and details,” Martin explains. 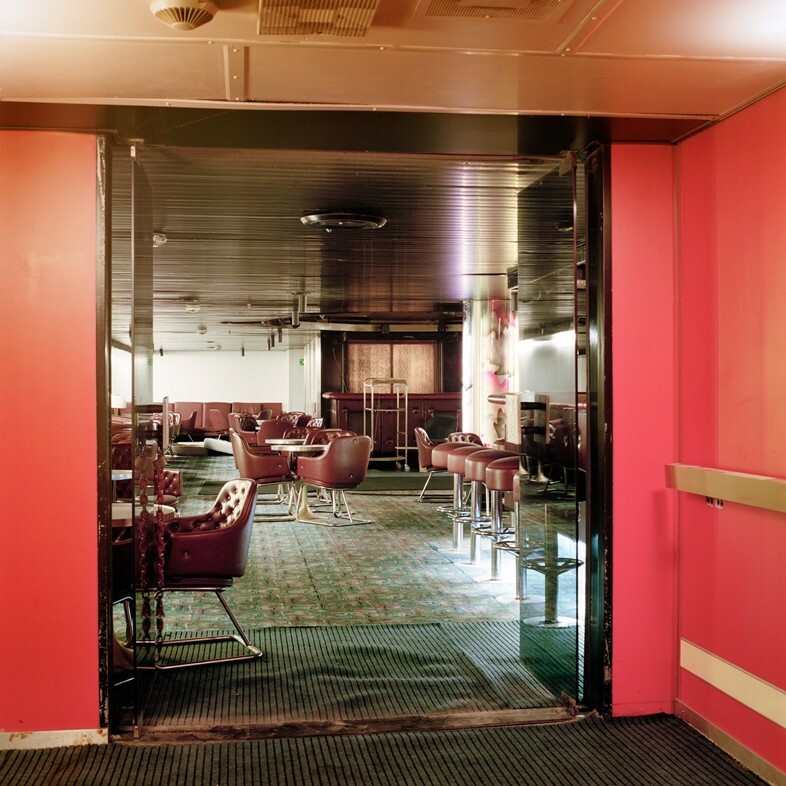 “The interiors, with their sofas and cabins and carpets were perfect proof of this condition of ‘suspension’ – a place suspended in time and space.” Indeed, one of the photographer’s only hints at the world outside the ferries is an image taken on deck on a sunny day, in which the sea is just visible through a window. 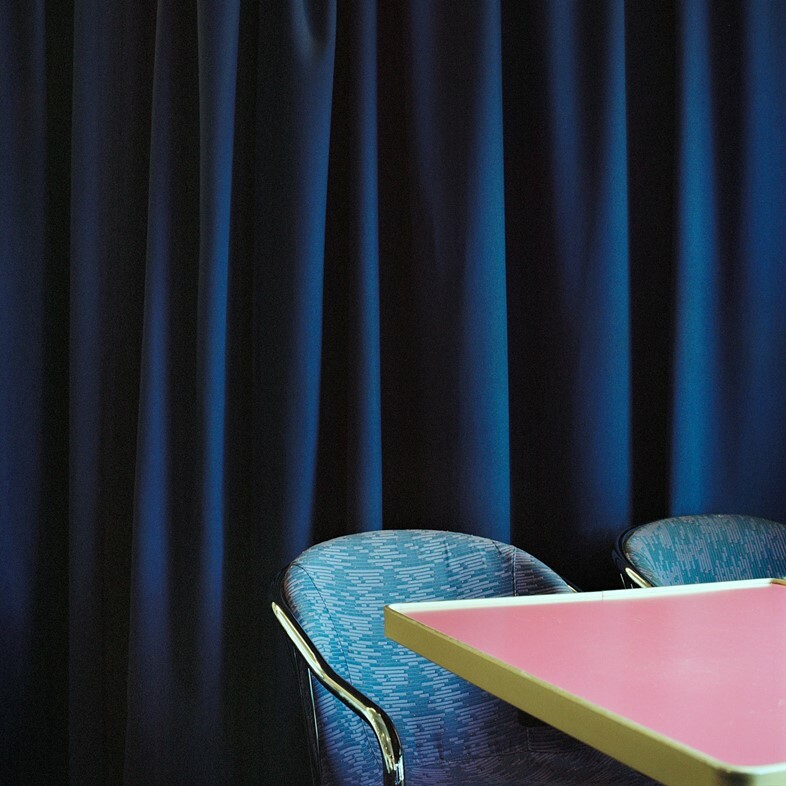 The series was almost a decade in the making. 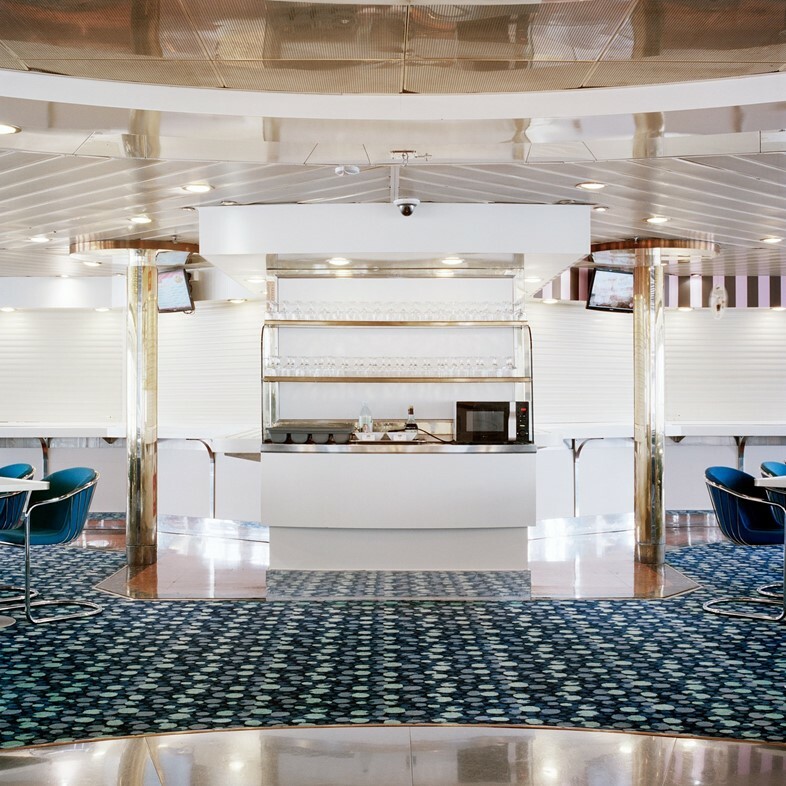 Martin hones in on the design details of the ferries – which travel between Corsica and Sardinia – and their ageing, kitsch furnishings, and she favours vessels that previously had different functions. 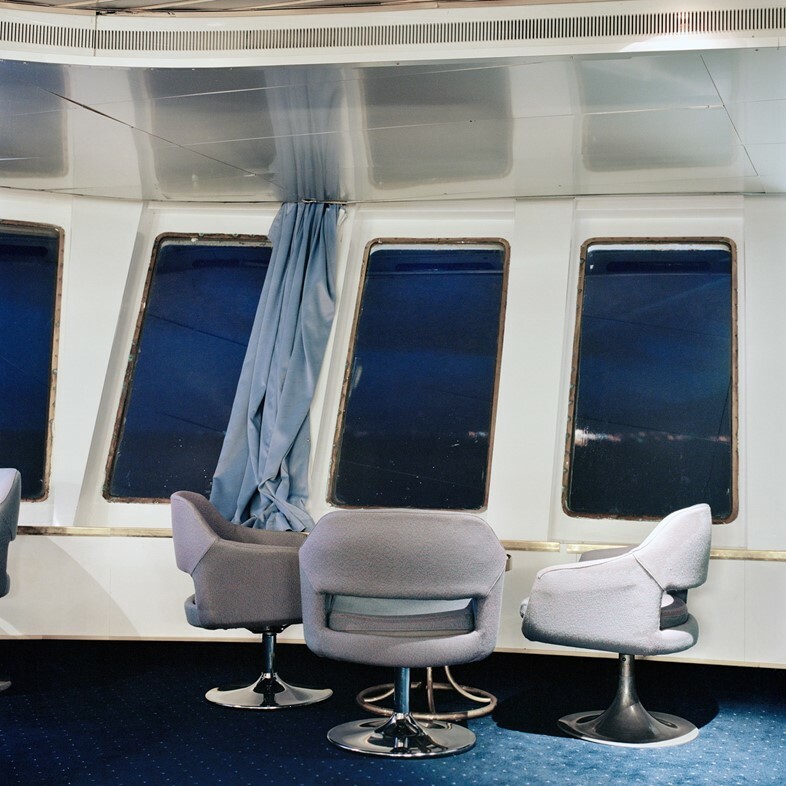 “I chose the oldest ships in the fleet and, where possible, those that were once cruise ships but were then downgraded to being ferries,” she says. 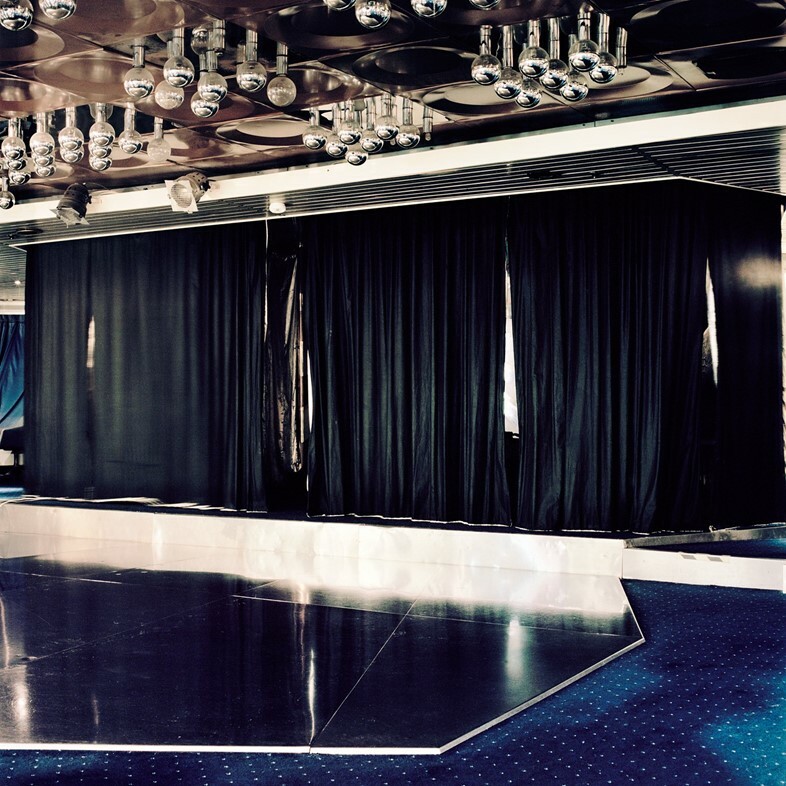 “This allowed me to have different areas available, such as cinemas and other entertainment spaces.” Martin explored these function rooms, bars, stages and screening rooms and captured them eerily devoid of any human presence. 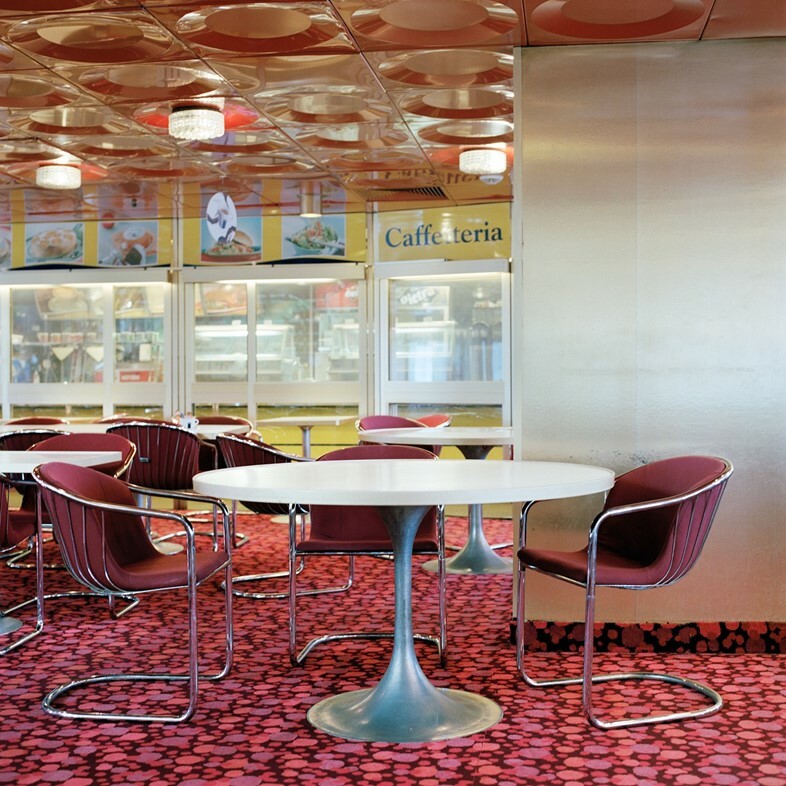 The patterned carpets, shining ceiling panels, and mirrored portholes are lent a sumptuous quality through Martin’s film lens, and each space she photographs is gleamingly empty. 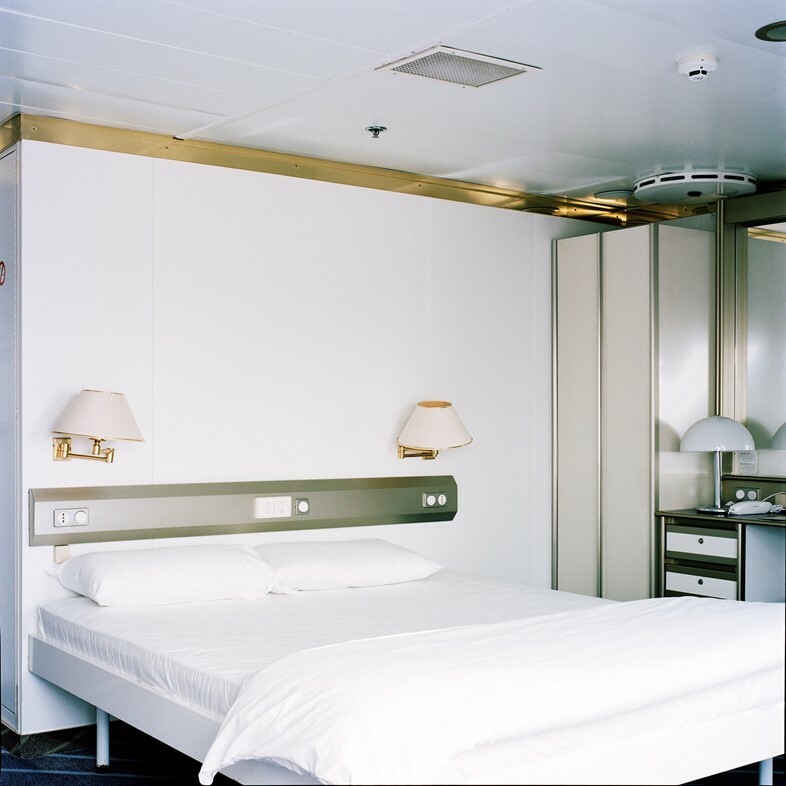 She describes her interest in “the ship as a mobile device, which connects people and places, but at the same time is a closed world in itself”. 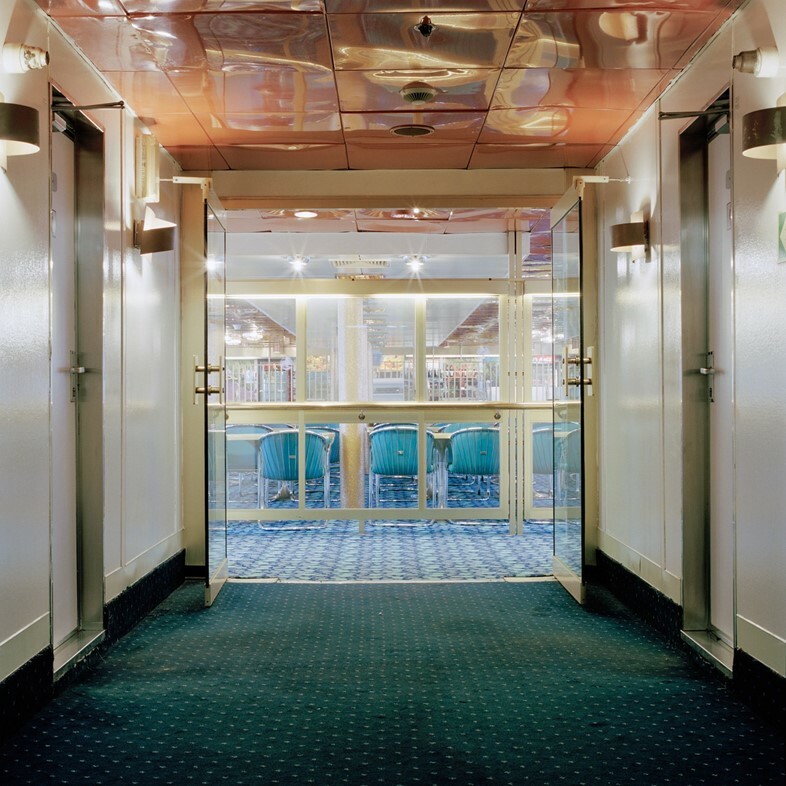 For the viewer, the lack of people speaks to an element of unattainable escapism; there is a sense that a journey is about to happen, as if the ferries’ rooms are just waiting for an onslaught of travellers. 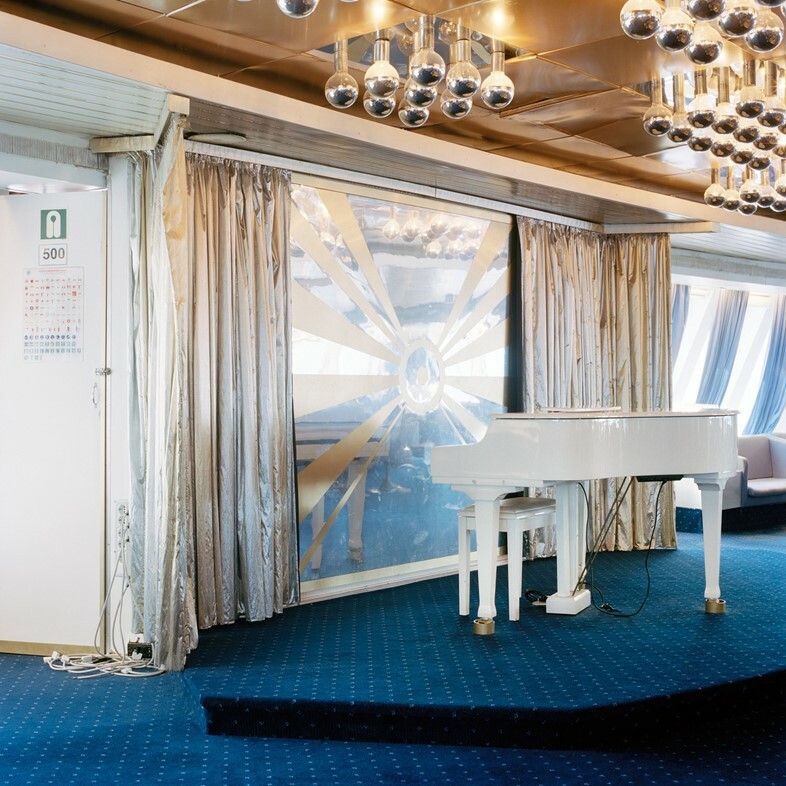 A Bordo is on show at Anticàmera, Milan, by appointment until September, 2018.